[prMac.com] Calgary, Canada - Macgamestore.com today announced that an open beta of its digital download application, Mac Games Arcade, is now available for the general public. Mac Games Arcade allows users to download, purchase and manage their Mac games all through an innovative and easy-to-use Mac interface. With Mac Games Arcade, users can browse through hundreds of digital download Mac titles from over 100 Mac developers, check out demos, write reviews, purchase games, and maintain their digital downloads. Easy Browsing - Quickly and efficiently browse through hundreds of Macintosh games in either icon or list view. Check out descriptions, features, screenshots, and system requirements. Quick Downloading - Download demos and full games with a single click with no messy installing. Once you download it, Mac Games Arcade installs the game and you're ready to play. Fast and Secure Purchasing - Purchase Mac games fast and securely. Add games to your cart, then checkout and start playing games within seconds. Ease of Mind Maintenance - With Mac Games Arcade you no longer have to worry about losing your digital downloads. Mac Games Arcade keeps a complete history of all your purchases. You can re-download and reinstall your purchased games any time you want, forever. 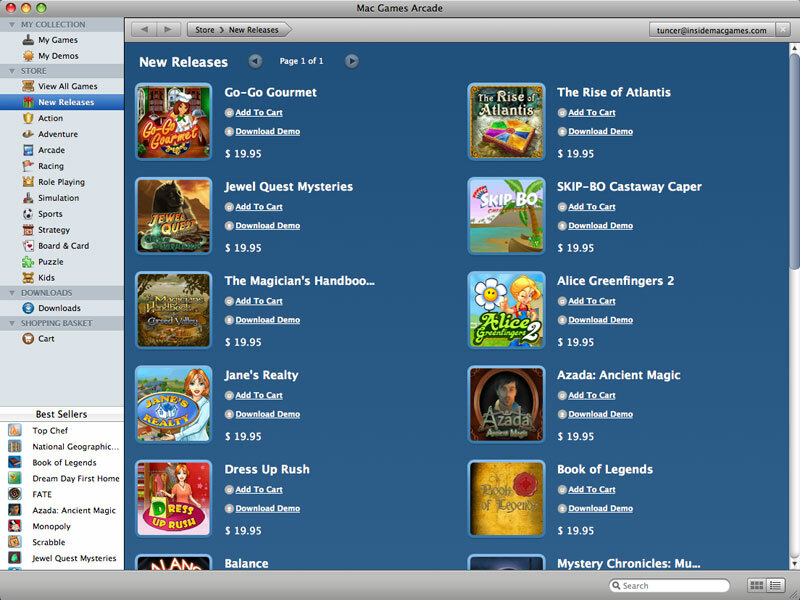 Mac Games Arcade is currently in beta testing and requires a Mac with Mac OS X 10.4 or better.